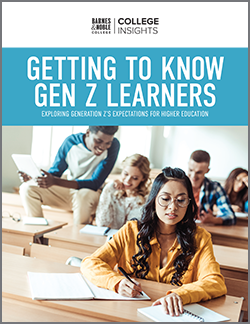 In a recent survey of community college presidents, conducted by Inside Higher Education, two-year college leaders identified declining enrollment, student completion rates and outcomes, and providing students with an affordable education as top areas of concern. Like many higher education leaders, community college presidents must find solutions that will ensure the success of today’s students and the future of their schools. Community colleges are familiar with enrollment fluctuations. However, with 57 percent of community college presidents reporting that enrollment is currently down, the projected enrollment drop in 2025 from 3.5 million to three million graduating high school seniors has many schools evaluating how they can cut expenditures or increase revenue streams. For example, leadership at the Community College of Baltimore County has focused on economic-stabilization initiatives. From solar energy to partnering with Barnes & Noble College to manage the bookstore, the college has saved $43 million over the last five years. Most students enter community colleges with the goal of eventually transferring to a four-year college. A report from the Community College Research Center found that 80 percent of students intend to transfer, yet only 14 percent earn a bachelor agree within six years. There are multiple reasons why students choose not to transfer. Financial strain, family obligations and location can all be barriers that prevent students from pursuing further education. 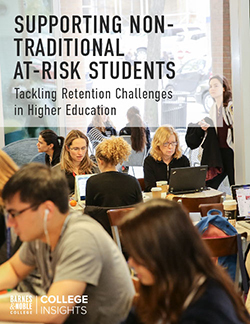 However, the often-complicated transition from a two-year college to a four-year college that results in students losing credit hours has an impact. Nearly all community college presidents surveyed said that associate degree holders lacked a clear pathway to transfer, and 60 percent indicated that universities not accepting transfer students is a barrier. Savvy two-year and four-year institutions solve this inefficiency by collaborating to find a solution. Working together, they streamline the student transfer process between schools. 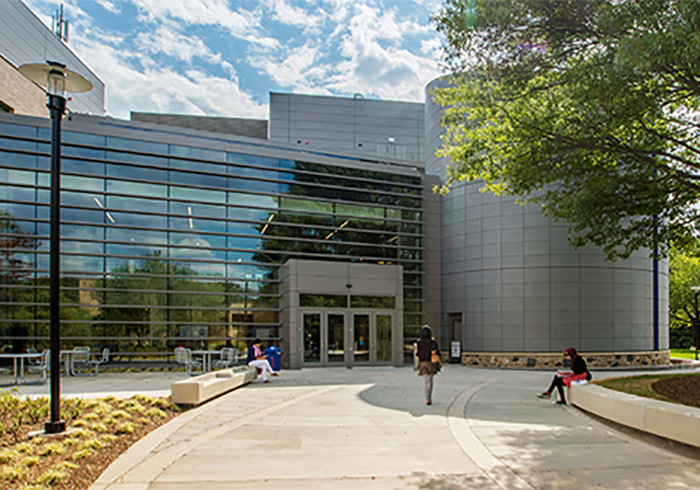 The University of North Carolina at Chapel Hill, for example, started the Carolina Student Transfer Excellence Program, partnering with 10 area community colleges. In the program, community college students are brought to campus to get advice, meet faculty and staff and hear about the available support services on campus. Over the last several years, states have responded to the demand for more affordable education options. Multiple states have passed tuition-free programs, allowing qualifying students to attend community college for free. The Tennessee Promise program was one of the first of its kind and since then, many other states have started similar programs, including California and New York. These programs bring more students into higher education and elevate the community’s view of the colleges. The tuition-free program at the Community College of Rhode Island enrolled over 1,500 new full-time students to their campus, increasing the number of freshman by 50 percent. Looking toward the future, community colleges are evolving and adapting to meet the changing needs of students and the workplace. Whether through partnerships with employers like Google and John Deere to offer specialized training, partnering with 4-year institutions to streamline the transfer process or providing state sponsored tuition-free programs, community colleges will continue to play an instrumental and vital role in higher education — now and in the future.